Handing the Country Over to Our Corporate Structure?? Source: Goldman Sachs culture ‘toxic’? Letter confirms suspicions about Wall Street. – CSMonitor.com. Polls show that Americans hold a very low opinion of Wall Street, and a damning public letter of resignation from a Goldman Sachs executive could only amplify that perception. I don’t understand why half or more of the country vote the Republican ticket. Isn’t that the party that wants to hand America over to the CEOs? They seem to think that if we only got out of the way of corporate America everything would be great. Have all these folks been living in caves the last couple of decades? Can’t they see the mess that corporate America has handed over to us time and time again? “Wall Street is not doing a very good job of explaining its importance to the economy and the good it does,” says public relations executive Richard Torrenzano of the Torrenzano Group and a former spokesman for the New York Stock Exchange. As shown by the quote above one thing that Wall Street is very good at is spinning. They can put a spin on just about anything. Yes, Wall Street does good if they are kept in their place by a regulatory structure but it seems that if they are unfettered the mantra of profit and greed overwhelm too many of them. Just look at our history to see many examples of that. 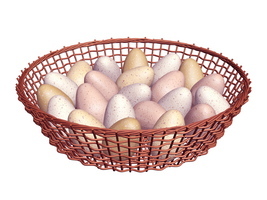 It is a mystery to me as to why so many I’m sure well meaning folks put all their eggs in the Republican basket. I’m not saying that the Democrats are that much better but if we took our eggs out of either basket maybe those folks in Washington would start listening to what we have to say. Right now they are just too busy trying to find ways to stifle any ideas, no matter how much they might benefit us folks in the hinterland, that the other party proposes. We tend to vote for the person- and then they end up following the party of their election. Disappointing. I am beginning to see why people do not bother to vote at all! Jan, unfortunately that is one of the consequences of today’s partisan atmosphere even with me. I have been involved with politics pretty much my whole life, that is on the voter end. I took great efforts to learn about the candidates so I would know who to vote for. That just isn’t happening now! The whole Washington atmosphere is just so polluted now for me to even care. President Obama did such a good job of bringing in new people as voter only to loose the majority of them now. I shutter to think of the possibility of a significant Republican win in 2012 but I just don’t care enough to prevent it from happening!! Maybe those guys had this planned out all along but I guess I would never give them that much credit…. It doesn’t seem to matter much anymore what someone says during the campaign. For reasons I have never understood people get all excited by the impossible promises a politician makes to get elected, knowing full well that upon election those promises have as much chance as a snowball in hell. We continually buy into the rhetoric and then are always disappointed when the person and the system make it quite clear that it will never happen. Is it our innate optimism or just that the system has become so fouled that even someone who wants to live up to his or her ideals won’t last a day? Unbridled business is responsible for a large portion of the 2008-2010 mess. But, as you note, RJ, at least half the country seems willing to allow them back in to destroy anything they missed the first time around. I almost hope that happens. I don’t think we have much future as a country until we hit absolute rock bottom with the poor and minorities dying in the street, no one getting medical care, and the middle class reduced to serfdom. Serfdom may be what we need to kick us in the tush, but I don’t want MY children to be serfs. My brother in law encouraged each of his five kids to go into medicine. He, in turn, is teaching each grandchild the basics in electricity, wood and plumbing. If they are serfs, at least they can care for their hovel. The first thirty years of my work life was as an engineer but I spent the last six as a self-employed cabinet/furniture maker.